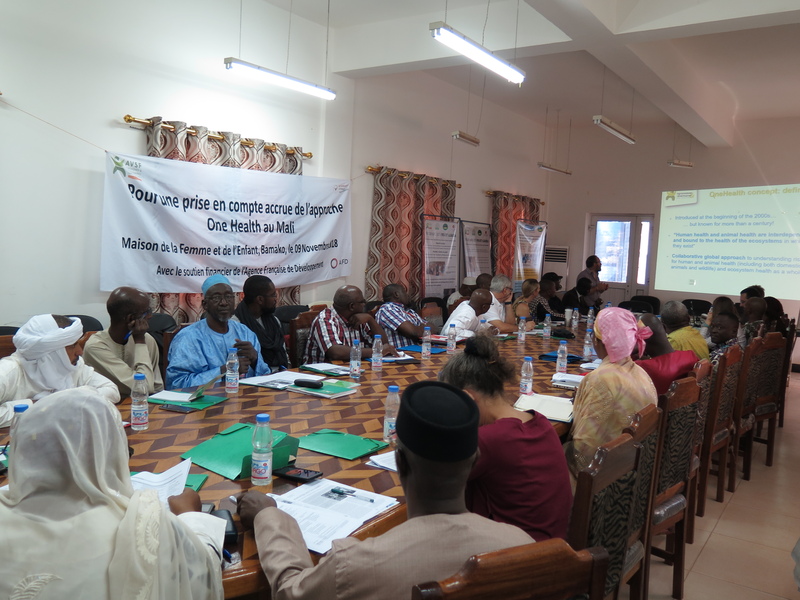 On 7th and 8th November 2018, in Bamako (Mali), AVSF organised a workshop for the members of VSF International on the theme “How to integrate One Health into our cooperation”. 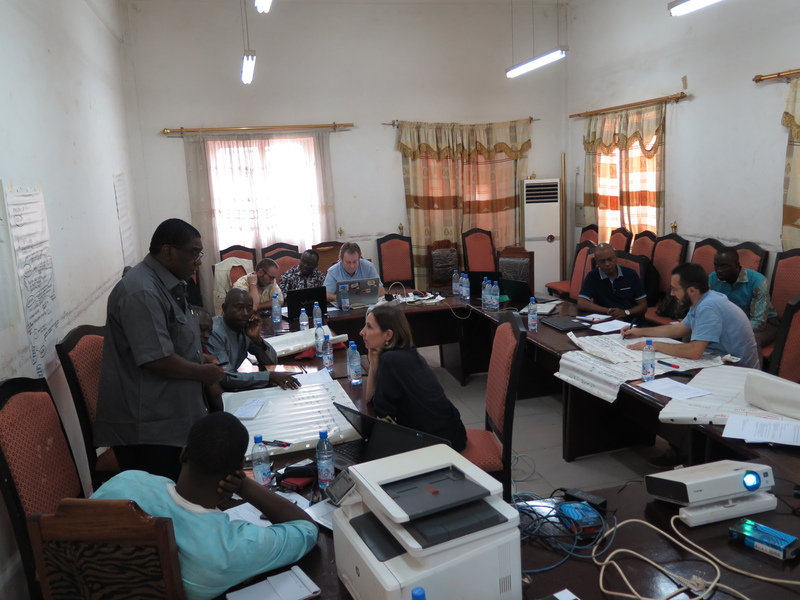 The main objective of the workshop was to identify the priorities for the implementation of One Health principles in our field work, starting from various experiences in different countries. Participants included representatives of the VSF-Int network, AVSF, VSF Belgium, VSF Canada and VSF Switzerland, who shared experiences from Mali, Senegal, Togo, Cambodia and Laos. The workshop was preceded by as field visit in Kita (western Mali) to see some achievements of the projects supported by AVSF and especially to exchange with the Union of Agricultural Cooperatives of Kita on their perception of the One Health concept as agro-pastoralists, such as the health risks (both for humans and for animals) related to a bad use of chemical products in crop production. 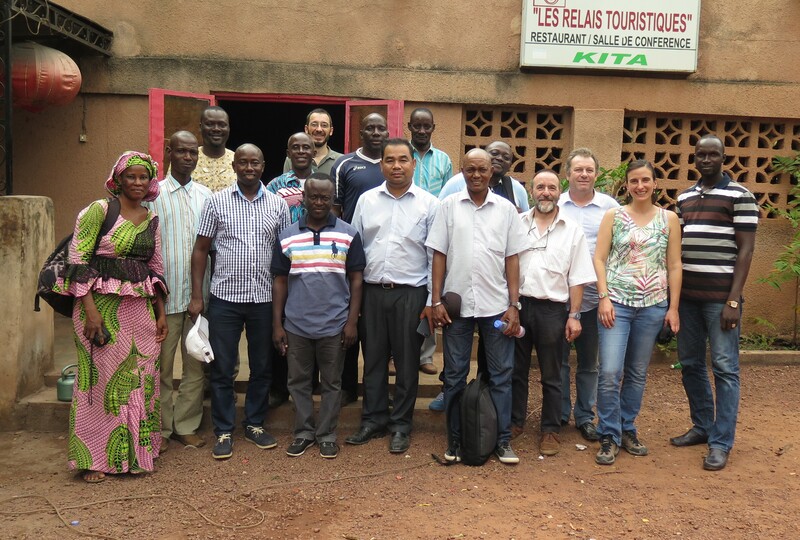 The field visit and the 2-days workshop were very inspiring and put the basis to start exploring more in details the different way the VSF network is working to embrace the One Health perspective. Adopting One Health requires a holistic approach and, when our skills and capacities are not sufficient, partnering with other organizations with complementary expertise (human health, environment) becomes necessary, if we want to ensure sustainability of our actions and sustainability of the smallholder farming systems supported by our actions, but also to guarantee the absence of any negative impact possibly caused by our actions. The participants to the workshop recognized that there is still a lot of work to do to better integrate the principles of One Health in project design, implementation and evaluation. But it was clear that One Health represents for VSF International a “good practice”, an approach that pushes us to question ourselves and look from different perspectives when identifying and implementing our field actions. After the internal workshop, on 9th November, an open national workshop on the theme “For an increased consideration of the One Health approach in Mali“ was organized to strengthen the collaboration between the recently constituted National One Health Platform, international NGOs and the civil society from Mali (including farmers associations). This series of workshops were organized in a very timely moment for VSF-International, as they preceded the creation of a new Working Group on One Health. The Working Group is going to work internally, to improve knowledge sharing on One Health implementation between the members of VSF International, but also externally, to contribute improving the global understanding of One Health and obtain recognition for multisectoral approaches that are needed to improve the way how development and humanitarian aid are done.